Something from my bar whenever I feel like it episode CXXIIsteemCreated with Sketch. So today it's another car from my collection. 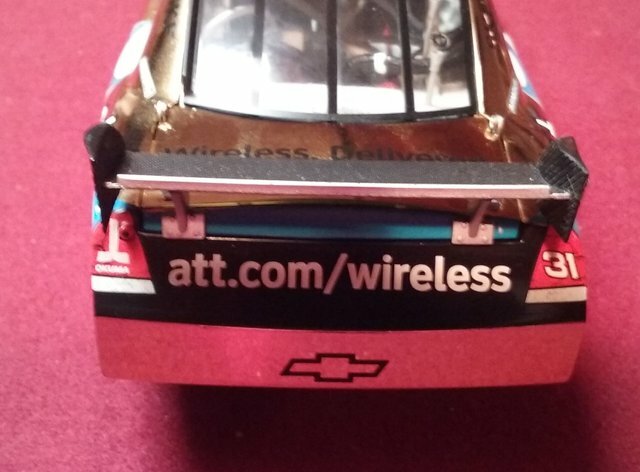 This is a 1:24 scale Chevy Impala COT from 2008. 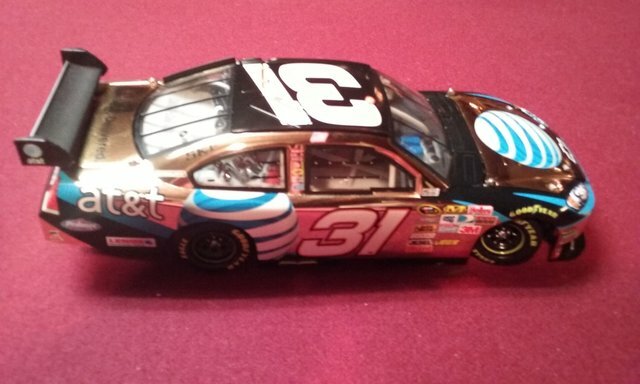 It's the #31 AT&T car driven by Jeff Burton. In this case it's the gold version. The COT refers to the major changes in design that were implemented that year. It stands for Car of Tomorrow. It's also the reason I have this car. I tried to get as many different ones as possible hoping they might be worth more some day.